Hway Port’s school needs came to the attention of Northern Shan State Union Baptist Association (NSSUBA) through the father of one of the organization’s leader, who hunted in the area. 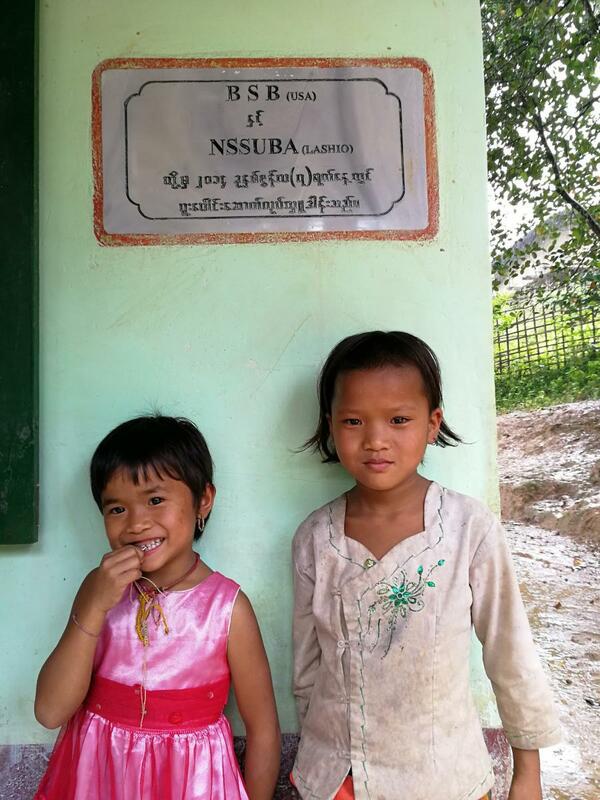 Before NSSUBA began to help, none of the village children were receiving an education of any kind. 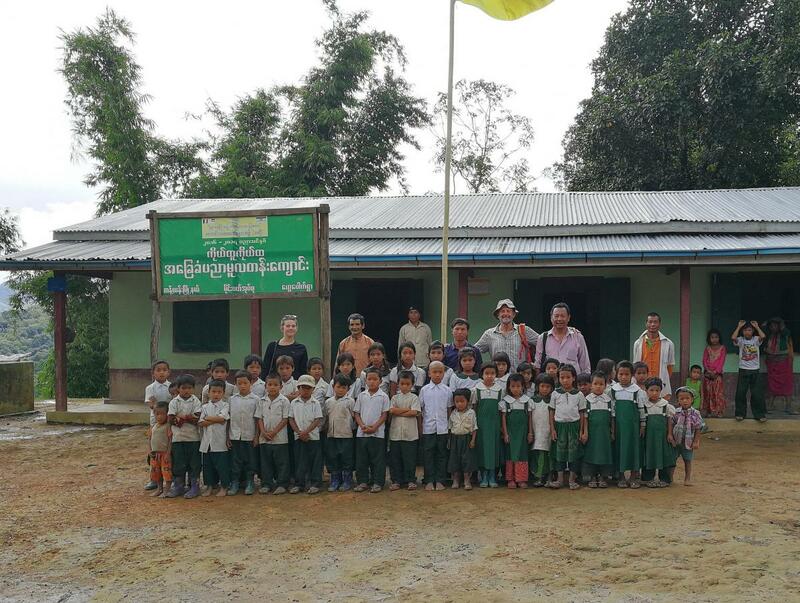 In collaboration with partner NSSUBA, BSB replaced a bamboo shack with a new concrete and brick primary school in this Palaung village about three hours by car and motorbike from Lashio. 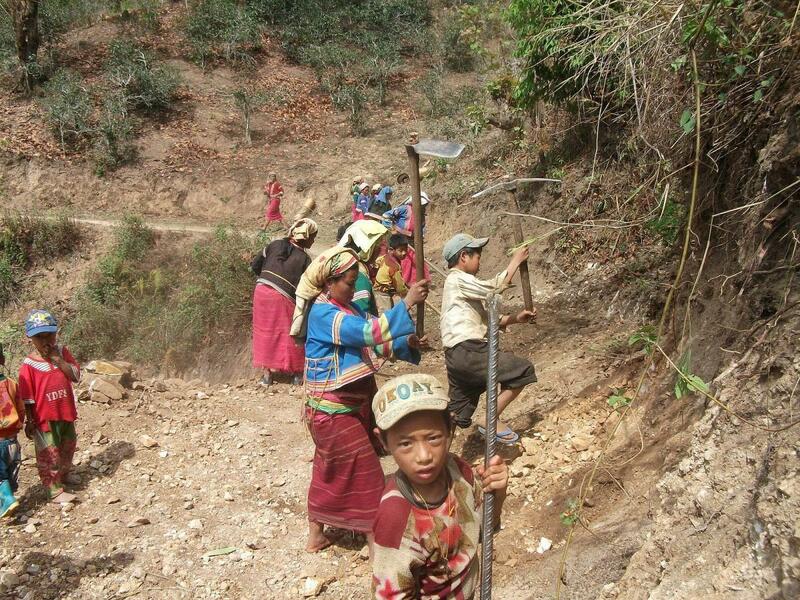 It is so remote that the villagers had to hand build a road to get building supplies to the school site. NSSUBA had provided a temporary school and teachers, and asked for BSB’s help with a permanent school. BSB team members visited in September 2017 and learned that the student body has grown from 31 to 52 with two teachers provided by the Paudaung Literature Association. Four 5th grade girls are attending the government school now -- the first to reach that grade level thanks to the BSB-built primary school. The latrines are still being used and the water pump is still working. The new school was completed and placed in service August 1, 2014. Funding was generously provided by The Asia Group. This very remote village of Palaung people sits astride a ridge top in Northern San State. BSB worked with the villagers and partner Northern Shan State Union Baptist Association to bring the first school to Hway Port village. 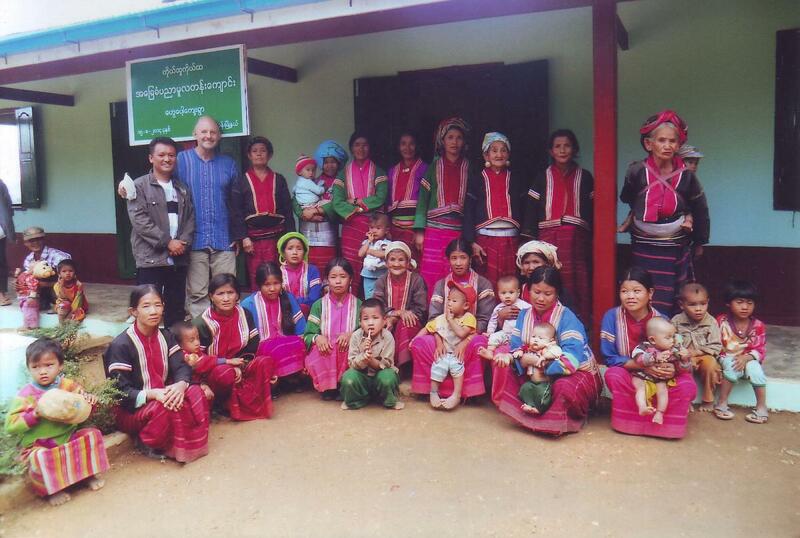 Hway Port Primary SchoolThis very remote village of Palaung people sits astride a ridge top in Northern San State. BSB worked with the villagers and partner Northern Shan State Union Baptist Association to bring the first school to Hway Port village.